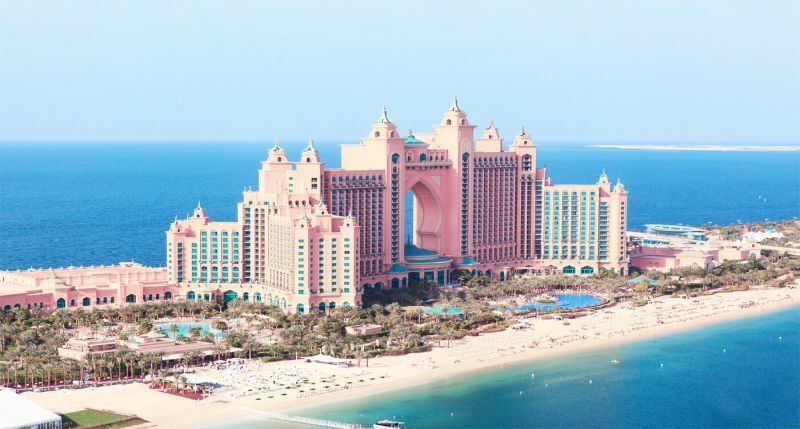 Located on Palm Jumeirah Island in Dubai and enjoys a private sandy beach, the 5-star Atlantis the palm hotel offers stunning views of the Arabian Gulf. 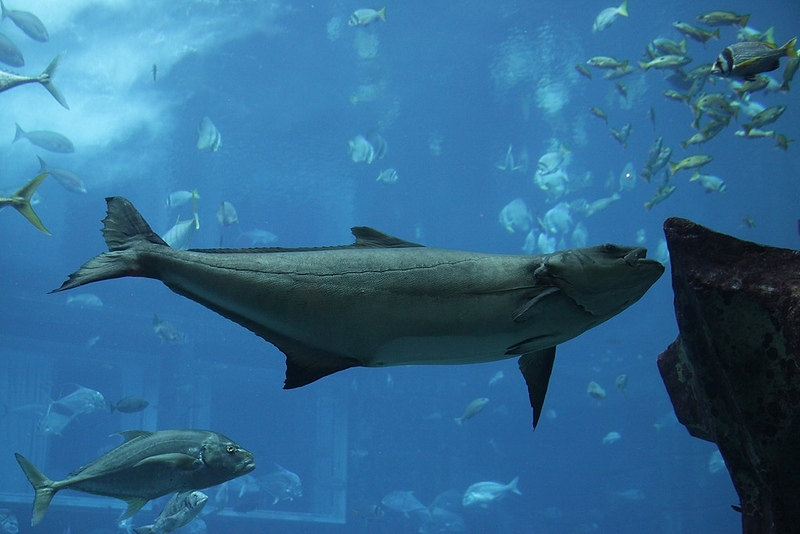 The hotel provides an amazing underwater aquarium, fun activities like swimming with dolphins, and complimentary access to the Aqua adventure water park and the Lost Chambers Aquarium. Free WiFi is available throughout the entire hotel. 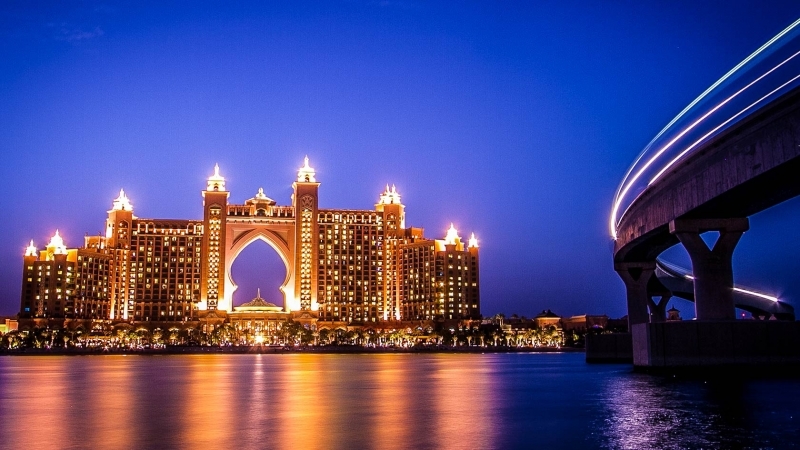 Atlantis the Palm is a UAE hotel resort located at the apex of the Palm Jumeirah. It was the first resort to be built on the island and is themed on the myth of Atlantis. The hotel rooms are all decorated in the Arabian and oceanic style that features a balcony with scenic views. Rooms include flat-screen satellite TV sets, seating areas, complimentary tea/coffee making facilities and minibars. Some rooms include a stunning large terrace with panoramic views of the palm or an over-sized spa bath located in the centre of the room’s bathroom. 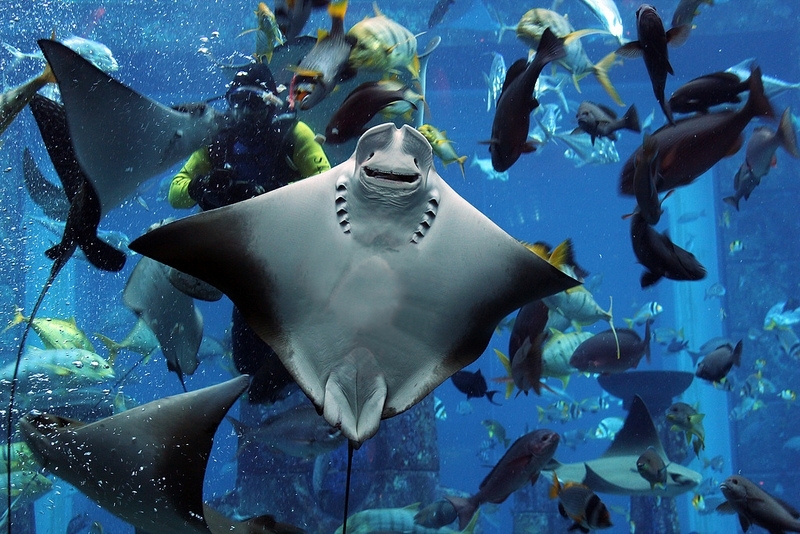 Atlantis, The Palm, opened on 24 September 2008. Guests who attended the event included Charlize Theron, Dan Ilic, Shah Rukh Khan, Robert De Niro, Janet Jackson, Lily Allen, Amit Kumar, Mischa Barton, Chris Tucker, Michael Jordan, Wesley Snipes, Andrea Colognoli, and Lindsay Lohan. Beside this, there was a huge display of fireworks across the full 5 km stretch of The Palm lit up the entire island and Atlantis, The Palm. Custom-made shells shipped in from across the globe created a light spectacle taking off from the firing locations around the island. The 1,500 room nautically themed resort has two accommodation wings, also referred to as the Royal Towers, consisting of the East and the West Tower, both linked together by the Royal Bridge Suite. It is complemented by the Aquaventure water park and the locally popular Nasimi Beach which frequently plays host to concerts and other events. The five-star resort includes attractions for children and adults. The main attraction is Aquaventure, it's a Huge water park with twelve water slides and a 2.3-kilometre (1.4 mi) river ride with cascades, tidal waves and rapids. There are two Mesopotamian-styled ziggurat temples reaching over 30 m (98 ft) into the sky and featuring water slides two of which catapult riders in clear tubes through a shark-filled lagoon. 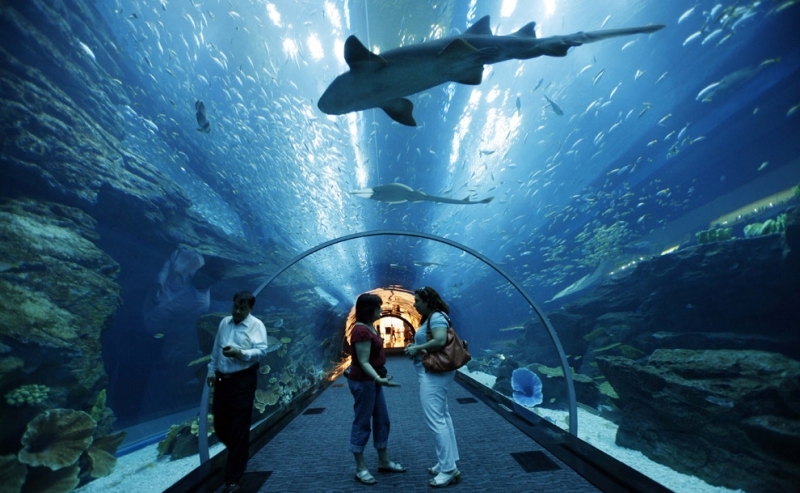 The Lost Chambers Aquarium is an aquarium exhibit with 65,000 fish and sea creatures including the Ambassador Lagoon. Across the Aquaventure water park is Dolphin Bay, a 4.5 ha dolphinarium. The resort has a stretch of beach facing the Dubai skyline. The beach has over 700 sun beds. The hotel has huge retail space including 'The Avenues', as well as a spa and fitness centre, meeting rooms, a conference centre and over 20 restaurants. 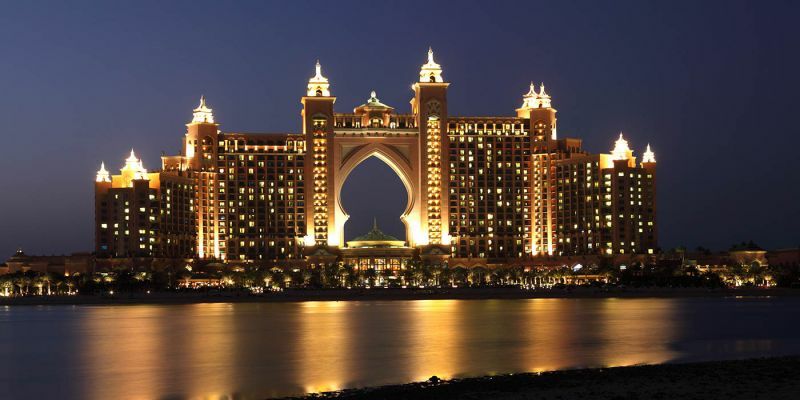 You Can Book One of our Dubai Excursions to Visit Atlantis the Palm Hotel.